Viewing the latest unemployment figures, uploaded on line today (Monday August 10th 2015) by the Central Statistics Office (CSO), residents of Co. Tipperary, possibly, with the exception of our over paid politicians, are less likely to be “visiting the Bahamas to swim with pigs“ in the immediate future, as a current TV commercial currently invites. Nationally the actual number of people currently unemployed in Ireland rose slightly during the month of July 2015, standing 300 higher than the seasonally adjusted figure for June at 208,900. Sadly the seasonally adjusted youth unemployment rate (persons aged 15-24) was 20.2% in July 2015; when compared to 19.9% in June 2015. Latter we understand was caused by a rise in the number nationally of unemployed females during the same month, which stood 500 higher at 81,200. As we forewarned on Thurles.Info; here in Co. Tipperary some 251 extra persons joined our ever lengthening dole queues, despite continued political electioneered spin from our current Fine Gael & Labour government; no doubt assisted greatly by radio and newspaper journalists, happy to simply ‘copy and paste’ political press statements, without the slightest modicum of questioning as to the real facts. In total, for just the three combined months of May, June and July 2015 a total of 1,086 Tipperary residents, represented under the CSO categories of ‘All Ages’ – ‘Both Sexes’ are now signing for unemployment benefit in the county as a whole; an increase of 251 within the last 31 days. June 30th – July 31st – North Tipperary and Associated Towns – 2015. 6,462 – 6,601 – North Tipperary, an overall increase of 139 persons. 2,635 – 2,658 – Nenagh, an increase of 23 persons. 1,187 – 1,246 – Roscrea, an increase of 59 persons. 2,640 – 2,697 – Thurles, an increase of 57 persons. June 30th– July 31st – South Tipperary and Associated Towns – 2015. 7,998 – 8,110 – South Tipperary, an increase of 112 persons. 1,145 – 1,164 – Cahir, an increase of 19 persons. 1,697 – 1,719 – Carrick-On-Suir, an increase of 22 persons. 1,025 – 1,063 – Cashel, an increase of 38 persons. 2,611 – 2,616 – Clonmel, an increase of 5 persons. 1,520 – 1,548– Tipperary (Town), an increase of 28 persons. In July 2015, led by an Taoiseach Mr Enda Kenny (F.G.) and accompanied by Labour Minister Mr Alan Kelly, Mr Tom Hayes F.G. and F.G. Jobs Minister Mr Richard Bruton, latter politicians trotting into Tipperary South, to the town of Cahir, here to announce 152 imaginary jobs and a €50m Investment at ABP Food Group, which jobs so far to-date have failed to materialize. The same political spin, on August 1st 2015, informed us of some 300 new jobs being created; supported by the IDA, in Cashel in Co Tipperary, by US generic drugs giant Amneal Pharmaceuticals, latter who purchased the former long idle Johnson and Johnson plant on the Cahir Road. In two years time following renovations Amneal expect to hire an estimated 250-300 employees, but only when the facility is at full capacity. Minister Richard Bruton F.G. described these latter futuristic jobs as being a massive boost for Cashel and the whole of Tipperary, capping what has been a good month for regional jobs announcements. To add to today’s published CSO unemployment figures; during this same period (May 1st to July 31st 2015) at least 373 unemployed persons here in Co. Tipperary have already been moved off the Unemployment Register to work on Tús schemes (See Pay Rates of €1 per hour) and therefore not correctly categorised as being unemployed persons. A more accurate figure for unemployment in Tipperary during this same 3 month 2015 period should therefore read approximately 1459. This latter figure does not take into account those other unemployed persons who chose to accept emigration. Neither does it take into account those who could not afford to leave this country and have since become members of that well known unpaid Internship Club known as ‘JobBridge’; latter which continues to remain unmonitored, offering poor conditions and little if any insurance cover through its forced membership. Meanwhile, last week the drinks giant C&C announced the potential loss of 31 jobs, through redundancies, from its production workforce at Borrisoleigh, Thurles, Co. Tipperary. The figures really do make for depressing reading. I know where that sign is. 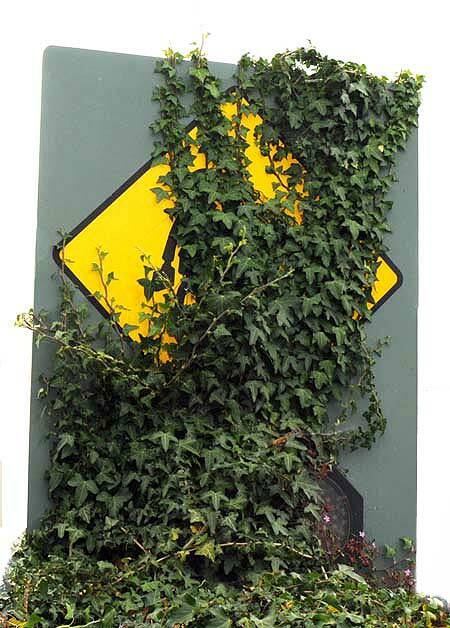 If I was living near the sign I would cut the ivy at night-time, because if I were seen I would be arrested & fined for interfering with public property. Firstly let me thank you for bringing these figures to our attention. The figures here are not just depressing, they are an absolute scandal. Our local and national politicians should hang their heads in shame. I do not know the number of people on the TUS schemes or the old FAS (now DPS, I believe) schemes but without doubt they totally distort the figures for unemployment. These people are in fact ‘unemployed’. Is it possible to get these figures and them add them to the so called ‘unemployed’ and get the real figure? The unemployed of this County and Country need to get together to highlight their situation and do like the Irish Water protesters and bring the issue to National attention. Isn’t Lowry great all the same. He goes to every funeral and will get your aunt into hospital. Good man, but what had he actually done for the town? Almost every other town in the country has passed Thurles out, but yet he’ll still tops the poll. We deserve what we get. Pat I find your comment just a little disingenuous and that is coming from one (me) who has little time for politicians in general. Say what you like but at least Mr Lowry does attends funerals regardless of social rank and can assist in getting your Aunt into hospital. Unlike Mr Kelly & Mr Coonan, you will find that when approached for assistance, Mr Lowry’s office has the courtesy of replying to all particular queries, explaining both either his failure and / or his success in his attempts to assist you. Hence possibly the reason for his popularity with Tipperary voters, and of course “he is not bad looking either”. All dealings I have had with Mr Lowry on matters relating to public issues within Thurles (and there have been many) have always been dealt with positively with a 99% success rate. I cannot say the same of other current ruling politicians. I agree with you with regards to Mr Lowry. There is a reason why he tops the poll. He helps loads of people that nobody knows about. The comments of 13th August at 10.02p.m. are in no way connected to my comments of 12th August at 4.50p.m. The only similarity is the name ‘Pat’. Hope you can bring this to the attention of your readers. Pat. I confirm that I am aware that the comment to which you refer can in no way be attributed to you.